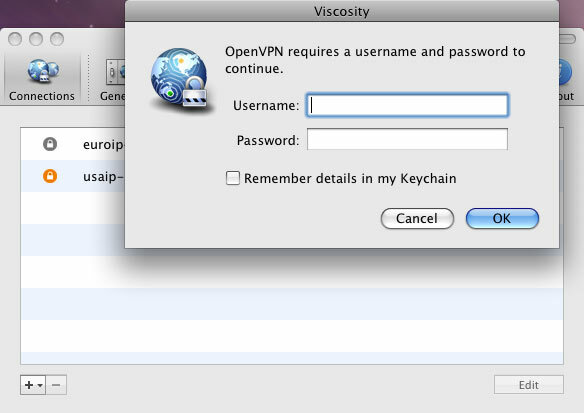 Download the OpenVPN client from here. You have to supply your admin username and password. 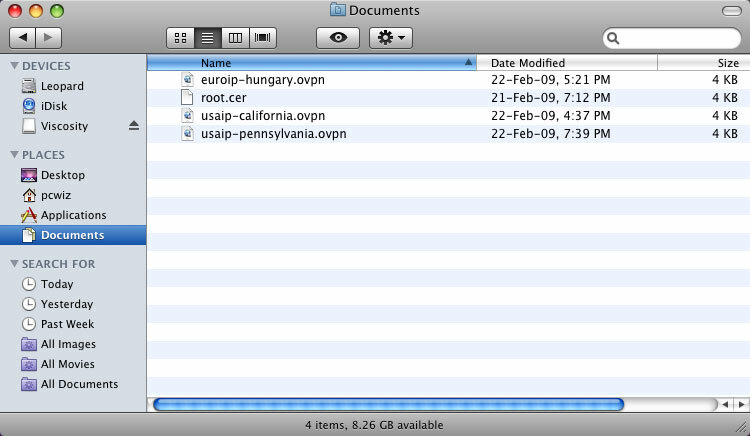 Unzip the files to your documents forder. 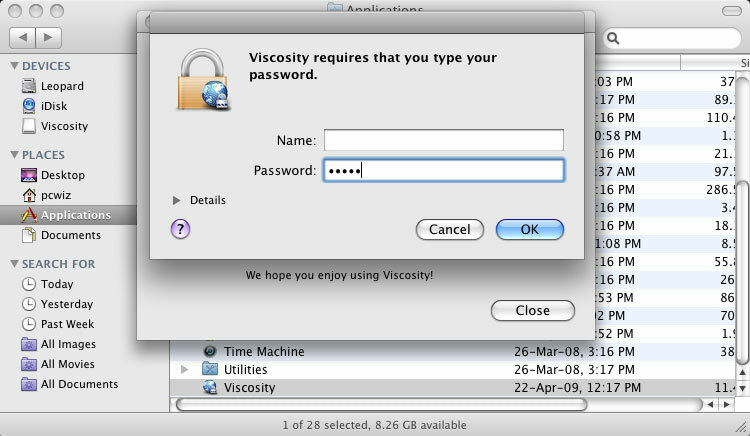 Start Viscosity and click preferences. 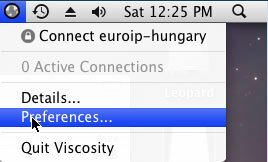 Import a new connection as seen below. 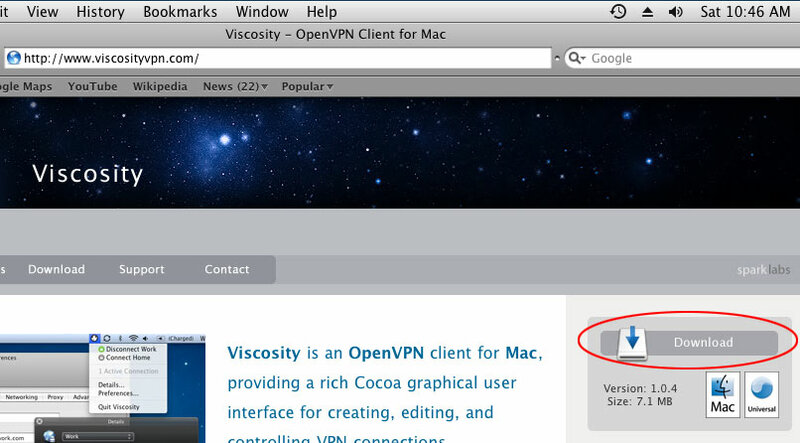 Once the VPN profile is imported, you can connect. Type in your username and profile. 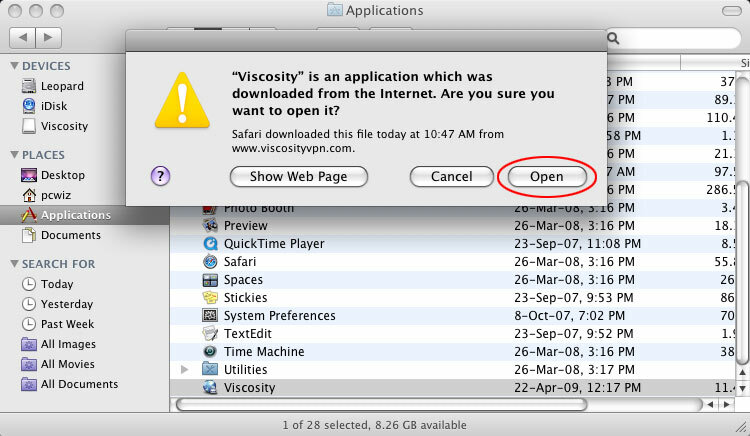 To disconnect, click on Viscosity and disconnect the active connection.